This pattern is suggested for any child in your life, from 3-6 years. A larger size, 7-10 years is available- see link below- and this will also be the place to go if you would like a pdf copy for printing of the smaller size too. 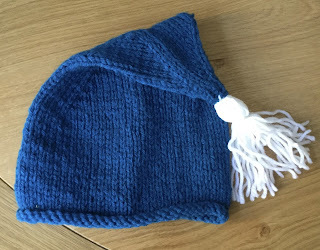 As with all of my patterns, this is perfect for knitting in the round, just remove one stitch from each end of the starter row and every consequent row. I will always provide patterns and knit for the photos without the need to knit in the round. The first row will place marker at decrease points, transfer this marker with the stitches on every row. Continue decreasing three times at the marker points, with fewer stitches between k2tog on each RS row. To make tassel wind contrast yarn around a CD case 20 times, fasten long thread around yarn at one end, ease yarn from CD case. Sew head together and tie tightly, cut opposite end of tassel to neat ends and attach to top point of hat for a final flourish. 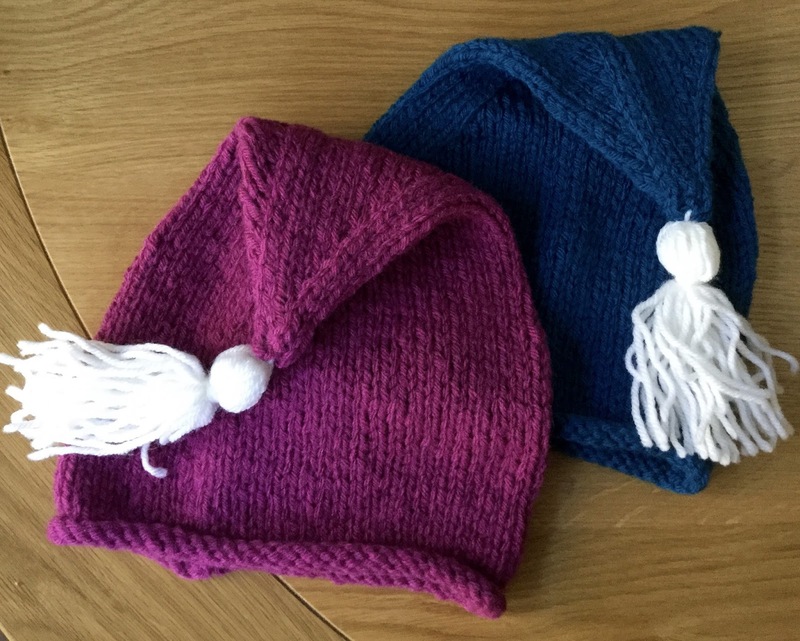 To purchase the pdf of Child's Tassel hat for £2.39 please click below. The pdf also contains the pattern to fit 7-10 year.